The FMCSA is not certifying ELD vendors’ products, which means carriers must ensure devices meet the organization’s technical specifications. 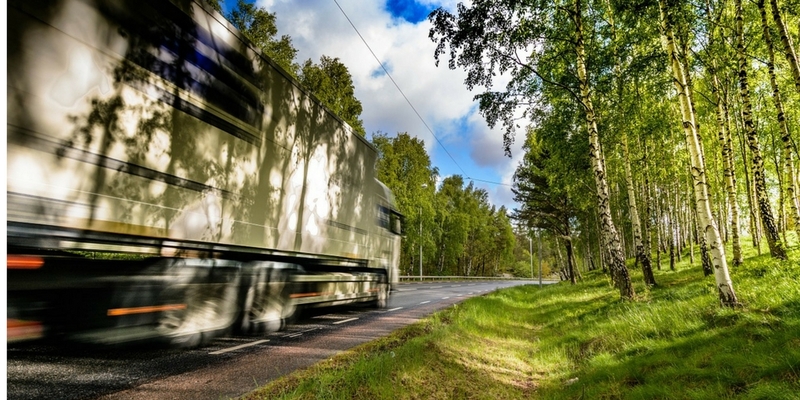 On December 18, new electronic logging device (ELD) regulations went into effect for commercial vehicle fleets across the U.S. The ELD mandate has caused major waves in the transportation industry. But it has the potential to rock supply chains and manufacturers around the globe — and not just because of anticipated transportation disruptions and increases in costs. ELD manufacturers must comply with technical specifications outlined by the Federal Motor Carrier Safety Administration (FMCSA). They must also register their devices with the FMCSA. Motor carriers might assume that selecting a device that vendors are promoting as “FMCSA certified” would be a simple solution. Amazingly, however, that certification may not be worth the paper it’s printed on. Last year the FMCSA directed carriers to a site where they could find a list of registered ELDs. The problem with this is that the devices on this list are self-certified by the manufacturer. There’s no guarantee that they actually meet FMCSA guidelines. To appear on the FMCSA’s list, ELD manufacturers must submit certain documents, including malfunction and diagnostics and product serial numbers. However, to gauge if their product is compliant, manufacturers must conduct their own tests. And the FMSCA is not vetting documentation of the testing. The problem with this is fairly obvious. Without mandatory testing from a neutral, third-party source, devices are subject to only the rigor of their own manufacturer’s testing. They may not follow the FMCSA’s test specifications. And, of course, less-than-honorable manufacturers could use the lack of oversight to their advantage. Consequences, however, will fall entirely on the shoulders of the operators and their carriers using non-compliant ELDs. Motor carriers purchase these systems under good faith that they will meet the FMCSA’s performance requirements once in use. But the possibility is looming that some ELDs may be noncompliant. Then what? Carriers have eight days from the time an ELD is determined to be noncompliant to replace it with a compliant one. While drivers can temporarily use paper logs, this obviously isn’t a real solution, and will leave carriers scrambling to get their ducks in a row. Before selecting an ELD vendor, carriers need to understand the details of compliance and hold vendors to those standards. Carriers should push vendors for specific information about compliance with FMCSA test specifications. Or they should seek vendors who have opted to use third-party testing companies, such as PIT Group, to independently verify ELDs meet FMCSA standards. Either way, carriers should test and verify the ELDs they have chosen for their fleets on their own to ensure compliance as soon as possible. The coming months are bound to see many headaches from the confusion caused by FMCSA-certified (but not regulated) ELD devices. Carriers need to be aware of this now, so they can properly prepare for any issues that may arise. 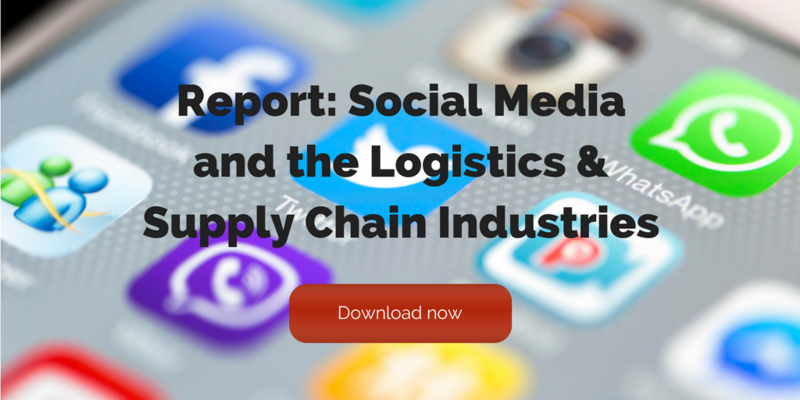 How Are Manufacturing, Warehousing, and Transportation Companies Using Social Media? 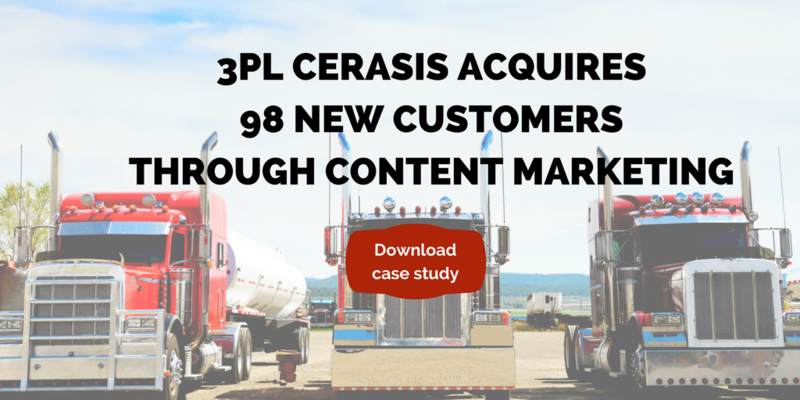 This post comes to us from Kevin Jessop of Cerasis, a top freight logistics company and truckload freight broker. The Paris Climate Agreement. Let those words hang for a moment. 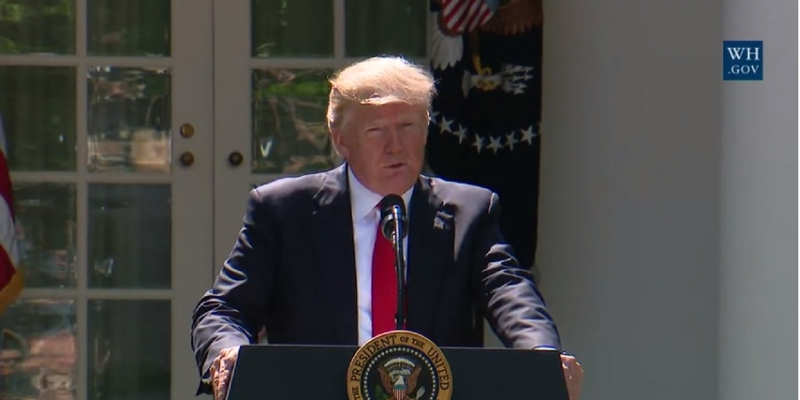 Throughout the course of the 2016 election and now the Trump Administration, many Americans have expressed dissatisfaction with the Paris Climate Agreement. True to campaign promises, the new Administration has started the process of removing the U.S. from the agreement, which has major implications for supply chains and shippers around the globe. While the Trump Administration’s impact on supply chains has been discussed previously on Cerasis’ blog, the president’s decision to leave the agreement has shocked the industry, and you need to understand why and what is really going to happen over the next four years. What Is the Current State of the U.S. in the Paris Climate Agreement? This may come as a shock, but the Paris Climate Agreement has only been in force since November 4, 2016. As a result, the U.S. has not yet enacted changes under the agreement. The only measure that would have fallen under the Agreement’s terms is the continuation of Customs and Border Protection’s (CBP) rules for maritime statutes. Lawmakers would have likely passed new legislation to increase environmental scrutiny of supply chains and shippers over the next few years. Moreover, the U.S. would have sent monies to Convention of Countries within the Agreement to help fund eco-conscious goals. The Administration’s actions indicate such changes are not likely to occur, but they could still happen. But, how? What Is the Timeline for Withdrawal? The full text of the Paris Climate Agreement is available online through the United Nations Framework Convention on Climate Change (UNFCCC). Article 28 defines the process through which a member of the original Convention may withdraw from the Agreement, and it is a surprise to many to learn that the new Administration cannot simply flip a switch. Article 28 states that any country wishing to withdrawal may only do so after three years have passed since the agreement went into force. Since the enforcement date was November 4, 2016, a country cannot submit a notification of withdrawal until November 4, 2019. Now, there is another side of the withdrawal. To prevent countries from withdrawing due to political changes and safeguard the longevity of the planet, any withdrawal still requires a one-year term from the date of notification. In other words, the Administration cannot effectively withdraw from the agreement until at least November 4, 2020. The precedent for polarization during the previous election cycle indicates President Trump will proceed with plans to withdraw the U.S. from the Agreement when the time comes. The June announcement is merely a call to action to prepare for withdrawal over the next few years. So, what does that mean to both domestic and international supply chains? The Impact of Withdrawal on Supply Chains. There are only three countries on the planet, counting the U.S. intention to withdraw, that are not part of the agreement now. This means that every foreign-originating business transaction with U.S. manufacturers, distributors or other partners, except for Syria and Nicaragua, will be at risk. The governments of other countries may look unfavorably at working with U.S. companies due to the new Administration’s plans. Multiple big-business empires, ranging from Facebook to Goldman Sachs, have condemned the move to withdraw. According to BBC News, part of their rationale is simple. The changes the Agreement dictates reflect existing concerns and actions that many U.S. businesses, including shippers, have already undertaken. Even ExxonMobil, a company whose previous CEO holds the title of Secretary of State, urged the new Administration to remain in the Agreement. These major companies have already invested time and money in energy-efficienct, eco-conscious programs, and many of their business-to-business partners have followed the same pattern. With the overwhelming majority of the world’s countries committing to this cause, there will be an opening of the “floodgates for businesses, scientists and engineers to unleash high-tech, low-carbon” technologies. As a result, the U.S. could fall further behind the global engineering and science goal, which helps all businesses succeed. In other words, domestic companies may have a more difficult time finding the labor or technologies needed to maintain profitability in the interim. Is There a Much Darker Side to Withdrawal? Without getting into a discussion on the science behind global warming, it is important to note things that have happened that may continue if global warming continues. For example, sea levels had risen 2.6 inches from 1993 to 2014, reports the National Oceanic and Atmospheric Administration (NOAA). If left unchecked, numerous ports, businesses, cities and whole seaboards could be lost in the next few decades. To ensure stability and growth along long-term goals, this is a risk that must be mitigated immediately. The rising sea level is a fact in the heavily disputed conversation about global climate change. For shippers and supply chains, the risk of not doing anything is too great. Thus, the new Administration means well, but withdrawing from the Agreement is not a change that will impact businesses before 2020. Furthermore, the backlash from the public toward companies that abandon eco-conscious goals could be severe. Shippers could face higher tariffs and additional troubles in shipping goods domestically or abroad. It is in your company’s best interest to pursue energy-efficiency goals, including working with well-known partners, like Cerasis, to help you reduce waste, eliminate redundancy and continue making healthy profits throughout the future, regardless of who sits in the Oval Office. This post originally appeared on Cerasis’ blog. The Self-Driving-Truck Race is On, But Which Strategy Will Prevail? Startups and transportation juggernauts alike are entering the race toward the self-driving truck, but no two strategies look alike. There will come a time in the not-so-distant future when — instead of using a CB radio to communicate with a freight driver — you will use a line of code. A recent study conducted by the White House concluded that at least 80% of trucking jobs will be lost to automated technology. Companies such as Otto (Uber’s robot division), along with start-ups Starsky Robotics, Embark, and Drive.ai are championing the cause of self-driving trucks. These companies are hoping to capitalize on an industry that needs revitalization. With a shortage of about 75,000 jobs and a turnover rate that tops 90%, the current climate is ripe for change. Trucking is a $700+ billion industry, with about a third of the costs going to driver compensation. It stands to reason that there is serious incentive to get this technology rolling out onto the highways, removing the need for drivers. However, so far, most plans don’t seem to involve going cold turkey. Both Otto and Embark will have the automated system take over for the driver when the truck is up and running on the highway. Then once the truck exits, the driver returns to the controls. The benefit of this system is the ease of which the automated driver can navigate highways, as opposed to local roads. Additionally, this system will put less stress on the driver, who can rest while the truck is on the highway. Starsky Robotics, while not looking to do away with drivers, wants to remove them from the trucks. Starsky’s trucks will be completely autonomous on the highway. Upon exiting, the job will be turned over to trained experts that remotely guide the trucks to their final destinations. Starsky believes by bringing the drivers off the road, and into offices, freights will run more efficiently and on time, while not putting undo stress onto drivers. While the competition focuses on long-haul trucking, Drive.ai has begun testing automated freight services on around-town delivery vehicles, which it feels is an easier way to introduce its technology. The company says it is developing software to control trucks using a small computer that “learns” how to drive, rather than using complex computers programmed with every conceivable move the vehicle could make. While testing is underway for many of these technologies, not every course has proved smooth sailing. Most notably, Waymo, Google’s self-driving car project, has filed a lawsuit against Uber, accusing the company of using trade secrets taken by Anthony Levandowski, after he left Waymo to found Otto. Currently, it’s unclear which company will emerge as the leader in the race to automated trucking. What is apparent, though, is there’s no putting the genie back in the bottle. Automation technology is only becoming more prevalent. With the trucking industry in its current state, it’s only a matter of time before self-driving trucks become the norm. This article originally appeared on EBN Online. Freight Driver Shortage Update: Will 2017 Come to a Head & Cause Issues for Shippers? Autonomous vehicles will be implemented gradually, and will serve to increase a truck driver’s productivity rather than replace the driver completely. “If I were a truck driver, I’d be looking to make a career change.” This has been my first thought when considering the future of self-driving cars, or autonomous vehicles. 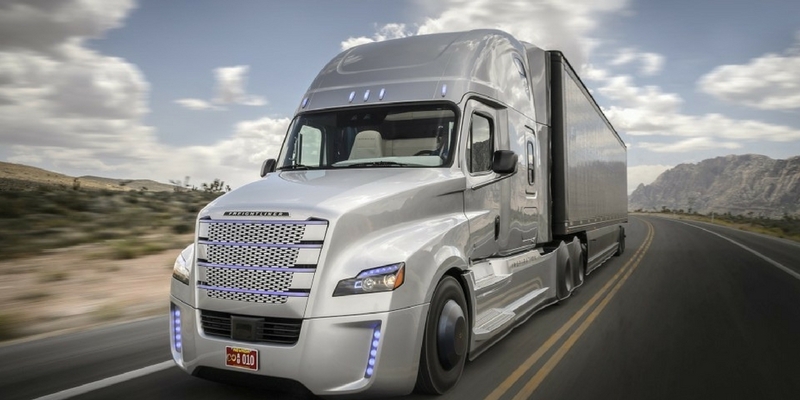 It seems that the rise of autonomous trucks is inevitable. The major players in the automotive industry are heavily focused on developing autonomous vehicles, and newcomers like Apple and Uber are joining in the pursuit. The required technology is advancing every day, and the financial incentives associated with commercial transportation and vehicle services provide an opportunity that will likely result in early adoption when compared to personal vehicles. The trucking industry is massive, and the United States economy is hugely dependent upon it. Truck driving is the most popular occupation in 29 of the 50 states, with 3,500,000 truck drivers in the U.S. This means that in most of the country, one is more likely to meet a truck driver than any other occupation. Seventy percent of total U.S. freight tonnage, an equivalent of 10.5 billion tons of freight per year, is transported via trucking. 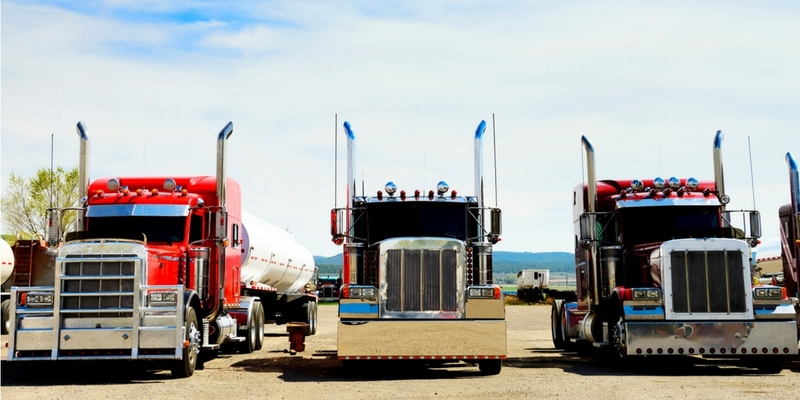 Every product you purchase, consume, or see in a store is dependent on trucking. Amazingly, 38,000,000,000 gallons of diesel fuel are consumed each year to keep goods moving in the United States.  The industry generates $750,000,000,000 in revenue each year, and is expected to grow rapidly. The shear size of this market provides an incentive for innovation, and it is expected that autonomous trucking will remove significant cost from the supply chain. Despite the importance of the trucking industry, there are fundamental problems. It is expected that almost 100,000 new truck drivers will be required every year for the next 10 years based on industry growth projections, and trucking companies have already been complaining about a driver shortage for years. Industry growth will only compound this shortage. This has led companies to focus on recruiting and retention, but it has been difficult to attract new participants to the industry. The industry is a comparatively “old” industry. One challenge is that to obtain an interstate CDL license, one must be 21 years old. When most young people graduate high school at 18 or 19, this forces years of idle time before one is even eligible to drive a truck. As a result, the industry is not an option for new graduates, and new graduates start down other paths. The driver shortage is increasing labor rates in the industry, and labor already constitutes a third of the costs of transport. Autonomous trucking would help remove some of these costs from the supply chain. Autonomous vehicles are not a new idea. The concept has existed since 1920, but it is only recently that the technology has manifested itself in a commercially viable way. LIDAR and RADAR technology has improved in recent years, and advanced cameras by companies such as MobileEye can help a human-less vehicle see. Perhaps the largest contributor has been improvements in software development and decision-making algorithims — technology that is still in its infancy, but rapidly maturing. Vehicle-to-vehicle communications have recently advanced and have facilitated “platooning,” or a single driver commanding a platoon of vehicles. Google, Uber, Apple, Tesla, Volvo, Mercedes and others are investing in the technology. Interestingly, the market literature for the Mercedes Future Truck 2025 is adamant that the autonomous vehicles will only aid a driver, and that the driver will remain with the vehicle for the forseeable future. Even with rapid technological advancement, there are challenges to the adoption of autonomous trucks. The industry is highly visible to the public, and recent technological development has sprouted a wide-spread fear of automation. It is likely that any accidents related to self-driving vehicles will receive the utmost scrutiny in a very public forum. 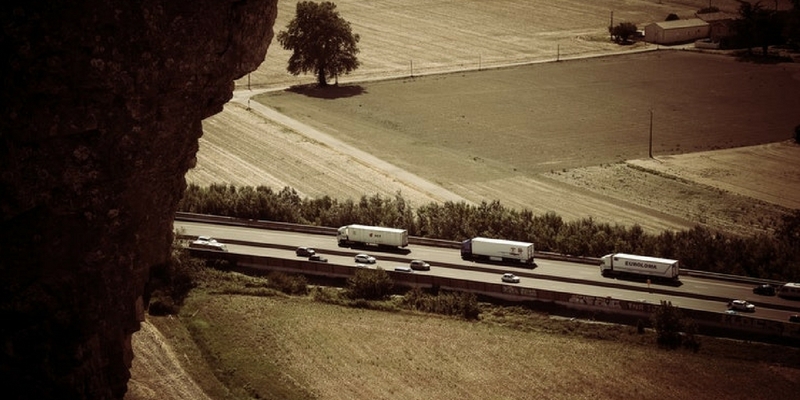 Further, truck drivers are faced with challenging, and sometimes even life-or-death, decisions as part of their daily activities. In the event of an accident, a driver sometimes must decide how to crash, and the results of these decisions may cause death to the others involved in the accident. Imagine, for example, a situation where the driver must choose to avoid a vehicle in the road, hit a pedestrian, or direct the truck off the road into a barrier. In each situation, someone will be hurt. If we rely on automation to make these decisions, we must program the right decision. As the computer system making the decision will be forced to make this decision with limited and imperfect information, even if the system is programmed “morally,” it will be forced to make imperfect life-and-death decisions. Will society be comfortable delegating these decisions to automation? Who will purchase a vehicle that might choose to kill its passengers? In these type of situations, who is liable? The programmers? The truck manufacturer? The trucking company? If there is no individual responsible for the accident and there is no threat of imprisonment, only of fines, does this change the current traffic accident paradigm? These questions must be confronted before the widespread adoption of autonomous vehicles. If we accept that these challenges are resolved, it seems that the threat to truck drivers from autonomous vehicles is limited. The concept of completely driverless trucks is based on a drastic oversimplification of the trucker’s actual job. Over the road trucking has been rated toward the middle of the top 100 occupations for risk of being automated by the Brookings Institute. Truck drivers do much more than just drive the truck, such as taking inventory, inspecting loads, manipulating loading docks, and placing orders. Many of these tasks are much more complicated than just conducting a truck on the interstate. The consensus amongst industry analysts is that the trucker will remain with the vehicle for the forseeable future. Even truck driver labor organizations such as ATBS are embracing autonomous vehicles as a productivity improvement in their industry. Given the rapid growth of the industry, the current shortage of truck drivers and the demand for new drivers over the coming years, it seems like truck drivers should not be afraid of losing their jobs to automation in the short term. Likely, autonomous vehicles will be implemented gradually, and will serve to increase a truck driver’s productivity rather than replace the driver completely. It is expected that over one-third of the trucks on the road in 2025 will be heavily automated, but complete autonomy is still in the distance future. Autonomous trucks may help to relieve the industry driver shortage, but they are unlikely to displace the millions of Americans that depend on driving truck for their livings. Jacob Rossman is a manufacturing engineer at a major pharmaceutical company. His passions include futurism and technology. He lives in Rochester NH, with his wife Whitney, dog, cat and two pet rabbits. This post comes to us from Adam Robinson of Cerasis, a top freight logistics company and truckload freight broker. Imagine a world where automation comes together with technology to deliver products without human intervention. An order is placed by a consumer. 3-D printers pick up the details and print the finished product. It’s then picked by robots from the shelves, packaged and placed into a self-driving truck. 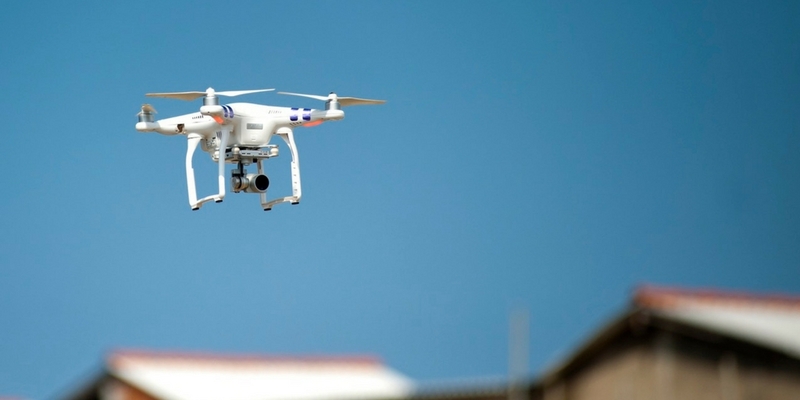 The trucks leave the facility, and drones are automatically dispatched from the truck to deliver products while moving. The truck never stops until arriving for reloading. This example generates a huge amount of data that can leverage in the supply chain. But, the same data can have a drastic impact on transportation planners and agencies around the globe. While this example may still be a few years off, it is important that you understand how the top emerging trends in automation will shape supply chains and transportation processes in the coming years. Today: There is a standard definition of automation in the supply chain. Anything that can be handled via today’s computer systems can be automated. This includes billing, generation of bills of lading, compliance reports, and even movements throughout a factory or warehouse floor. Historically, automation has been applied to virtual processes, like order auditing or customer service reports. However, the trends in automation are changing to reflect actions that function more like artificial intelligence, not just a search and locate program on the computer. Additive manufacturing includes all actions in the supply chain that can enhance existing factory production, if not replace it entirely. Additive manufacturing may be handled manually, but automating this process is as simple as turning on the power and connecting to the Internet of Things (IoT). For example, additive manufacturing might involve the use of 3-D printers to create replacement parts at the store for consumers. Today’s status: Unfortunately, the capacity of 3-D printers remains in infancy, capable of only producing simplified parts out of liquid polymers. Virtual Reality Comes to the Forefront. Meanwhile, Google Glass and other virtual reality tech are changing how customers complete their orders. In addition, the same technology can be overlaid with augmented reality to give repair technicians and individuals greater resource access when making repairs, checking order contents and fulfilling orders. For example, augmented reality glasses will soon detect package dimensions and classify the package according to dimensional pricing models. Additive manufacturing will gradually move products from warehouses and distribution centers to be closer to end-users. As a result, the amount of last-mile traffic may increase. Robotics Enhance Inbound and Outbound Logistics for Shippers. Another trend in automation involves robotics. By definition, robotics are the icons of automation. They perform functions at the request of a system or person, but more of today’s robotic systems are performing duties upon request from an order fulfillment system. The order process automatically notifies robots in warehouses and triggers the flow of processes as seen in the opening example. Robotics Improve Inbound and Outbound Logistics. Robotics are not isolated to warehouse pulling for outbound logistics. They can be used to manage inbound and outbound processes and strategy. Through trends in automation and robotics, supply chain companies will have the tools and resources necessary to ramp up throughput and decrease product cycle from order to delivery. Therefore, more trucks and drivers will be needed, but the looming driver shortage and capacity crunch will trigger another automation trend. Automation begets automation. With advances in technology and the IoT, most major companies, including Uber, Facebook, Google, and Amazon, have launched autonomous vehicle and truck pilot programs. These driverless vehicle programs will give supply chains access to a new inexhaustible resource for moving products, overcoming the challenges inherent in the driver shortage and capacity crunch. The driver shortage and capacity crunch are likely to come to a head in 2017, as consumers demand more product, at lower costs and faster than ever before. Some setbacks have occurred, like the first self-driving car wreck earlier this year. With each setback and challenge, companies have pushed back to overcome the obstacles. In response to increased interest in driverless vehicles and trucks, the National Transportation Safety Board (NTSB) has issued recommendations and created an advisory panel to review ongoing driverless vehicle advancements and maintain public safety. Transporters and supply chains will respond to this direction by leveraging the trends in automation and power of data to ensure compliance with increased government oversight, through the agencies you represent. Companies have already tested cross-country driverless trucks, albeit with a person ready in the cab to take over in the event of a system failure. However, the wide-scale deployment of this level of driverless trucks is far from implementation. In the interim, more automated vehicle systems will work in tandem with drivers to enhance safety and maintain vehicle control. Similar systems are already deployed in crash and pedestrian detection systems, automated braking and tracking control in today’s vehicles. It is not difficult to apply today’s technology and automated features to the fleets and drivers of 2017. Trends in Automation: Whats the Potential? The potential applications of this type of technology can include real-time traffic condition monitoring and warnings, redirecting traffic before pile-ups and accidents occur, similar to Google Maps’ capacity to show traffic congestion in real-time. Data through such systems can automatically feed back into transportation planners’ systems to automatically change signal phase and timing and enable immediate rerouting or adjustment of traffic flow on a broader scale. This guest post comes to us from Adam Robinson, director of marketing for Cerasis, a top freight logistics company and truckload freight broker. Growing woes over a forthcoming capacity crunch are not going away anytime soon. But, the capacity crunch may have a major impact on the freight driver shortage and vice versa. In a sense, fewer drivers mean that capacity will grow tighter. Yet, as capacity shrinks, the incentive for drivers increases. As 2017 moves forward, it may be a year that the driver shortage comes to a head, but it might not be as dismal as some shippers have been led to believe. The Freight Driver Shortage IS BAD and Getting Worse. The American Truckers Association cites approximately 48,000 unfilled trucker positions, reports Saul Gonzalez. Since 2005, the freight driver shortage has grown from 20,000 unfilled positions to 70,000, and some reports suggest the shortage may worsen to more than 170,000 vacancies by 2025. Meanwhile, the average of age of today’s trucker is 49, and more truckers are aging out and retiring from the industry. This contributes to a growing bleakness among the trucking industry, causing turmoil among shippers and logistics providers. But, there is a light at the end of the proverbial tunnel. Could Automation Reduce the Impact of the Driver Shortage in 2017? Politicians and industry experts have claimed for more than a year that automation and drone delivery will be able to handle the driver shortage, and while this belief may hold true, the widespread deployment of driverless trucks is still far from reality. As explained by Sean Kilcarr of FleetOwner®, the political discussion seems to continue pointing toward more affordable and available education of futuristic technologies. This might be true in the future, but current political turmoil suggests that any such move will be met with extensive resistance from the opposing political party. In other words, education and re-skilling of workers to service autonomous vehicles and automated technology is not ready for widespread deployment. However, the answer to the growing driver shortage might lie in the capacity crunch itself. How Could the Capacity Crunch Help the Driver Shortage? It sounds insane; tightening of the capacity crunch could help solve the driver shortage. Look at the historic tightening of capacity in the shipping industry. In 2004, 2011 and 2014, capacity reached a critical point. Yet, major carriers, reports Jeff Della Rosa of Talkbusiness.net, met the increased demand by increasing trucker wages by 7-percent per loaded mile. Consequently, the overall annual wage of drivers increased during these three years, providing temporary relief for a looming driver shortage. 2017 appears to be another year in the lineup of driver wage increases too. Companies, including Crete Carrier, Baylor Trucking and Shaffer Trucking and CFI have implemented per-mile rate increases. Meanwhile, Swift Transportation, Schneider, and CGI have unveiled $4,000 – $8,000 bonuses for new drivers. So, the wages are starting to reflect the demand for drivers. In fact, Delco expects industry-wide wage increases among trucking companies throughout the remainder of 2017. Will the Driver Shortage Succumb to Capacity Crunch After All? It’s easy to gain a false sense of security as wages climb among the trucking industry, and for shippers, this means that they may be considering abandoning previous preparations for worsening of the shortage. However, shippers need to continue working to help the freight driver shortage. Yet, shippers want to pay the least cost possible for transportation of goods, which results in lower profits for carriers and wages for drivers. So, how do shippers help prevent the driver shortage from worsening? The answer is working with multiple carriers to find the best rates without undercutting the industry. In other words, more shippers will turn to third-party logistics providers (3PLs) who offer more than just shipping management, to increase profit margins across their enterprise, allowing for more expendability among the actual freight costs of shipping. In other words, savings found from auditing and eliminating redundancies in paperwork frees funds for use among actual freight costs. To shippers, the overall costs decrease, but to truckers, it means more money available for use as wages, benefits, and better equipment. As capacity tightens in the industry, shippers will face the challenge of reaching more customers with fewer resources, and the freight driver shortage may spike temporarily. However, the capacity crunch itself will help curb the driver shortage, and reaction to capacity issues will further the cause of better wages and incentive for more drivers to enter the industry. Of course, nationwide low unemployment and better wages among other industries will still draw people away from the trucking industry, reports the Journal of Commerce (JOC). Remember the saying, “it’s always darkest before dawn.” The driver shortage may not come to a head just yet, provided the industry continues to increase wages and work to increase driver retention.